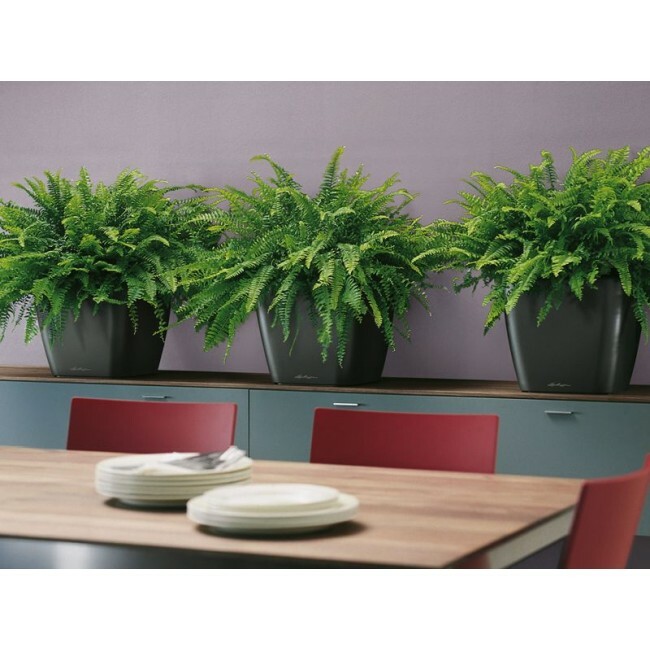 Although not commonly used as a tropical office plant, the Boston Fern is definitely a favourite among plant lovers. It has delicate arching fronds with light green coloured leaves. This plant is best displayed as a hanging plant to show off its full foliage and fronds that can grow to a length of up to 3ft. It does best in medium, indirect light. A north or east window works well. The leaves will burn easily if placed in direct intense light. Although this is a tropical plant that is fairly easy to grow, it does require substantial humidity to thrive. This is the main reason we do not often use this in our commercial plantscape projects. 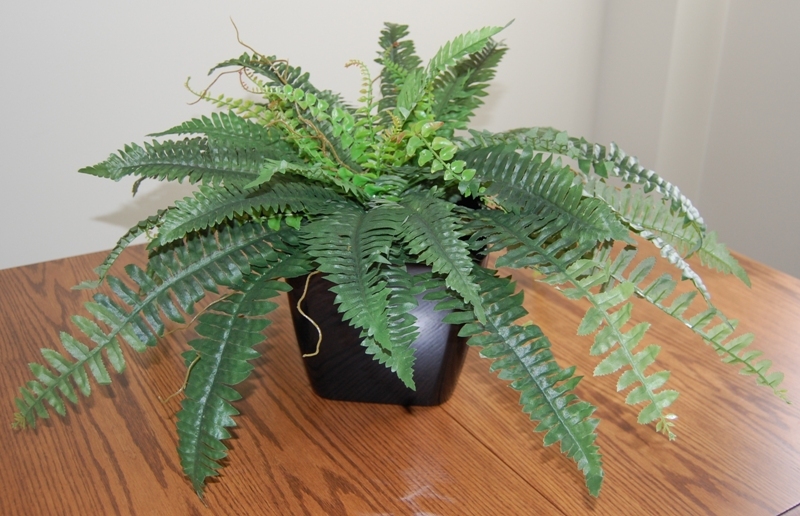 Office buildings can have humidity levels below 10 percent in the winter, which will cause the Boston fern to dry out and drop considerable foliage. There are ways to increase the humidity around the plant when it is used as a houseplant. Using a clay planter and setting the pot inside another container which can be filled with moist moss or pebbles will help. Daily misting of the leaves will also reduce browning. Keep the fern consistently moist, but not wet. Good drainage is important, as the leaves will turn yellow if the plant is kept too wet or allowed to sit in water. Ferns are relatively resistant to pests and disease, but can develop scale insect, mealy and mites if improperly cared for. Light, infrequent fertilizing is recommended. Ferns also do well outdoors in the warm weather months, and can grow to enormous size! They do need to be kept in shady areas though. A covered porch is ideal. If you do not like the mess of a fern, or do not have enough light for one, consider purchasing a high quality artificial Boston fern. These are one of the most life-like replica plants available.